Marcello Malpighi (10 March 1628 – 29 November 1694) was an Italian biologist and physician, who is referred to as the "Father of microscopical anatomy, histology, physiology and embryology". Malpighi's name bears to several physiological features related to the biological excretory system, such as the Malpighian corpuscles and Malpighian pyramids of the kidneys and the Malpighian tubule system of insects. The splenic lymphoid nodules are often called the "Malpighian bodies of the spleen" or Malpighian corpuscles. The botanical family Malpighiaceae is also named after him. He was the first person to see capillaries in animals, and he discovered the link between arteries and veins that had eluded William Harvey and Malpighi has been the earliest person to observe red blood cells under a microscope. His treatise De polypo cordis (1666) was important for understanding blood composition, as well as how blood clots. In it, Malpighi described how the form of a blood clot differed in the right against the left sides of the heart. The use of the microscope enabled Malpighi to discover that invertebrates do not use lungs to breathe, but small holes in their skin called tracheae. Malpighi also studied the anatomy of the brain and concluded this organ is a gland. In terms of modern endocrinology, this deduction is correct because the hypothalamus of the brain has long been recognized for its hormone-secreting capacity. Because Malpighi had a wide knowledge of both plants and animals, he made contributions to the scientific study of both. The Royal Society of London published two volumes of his botanical and zoological works in 1675 and 1679. Another edition followed in 1687, and a supplementary volume in 1697. In his autobiography, Malpighi speaks of his Anatome Plantarum, decorated with the engravings of Robert White as "the most elegant format in the whole literate world." Malpighi was born on 10 March 1628 at Crevalcore near Bologna, Italy. The son of well-to-do parents, Malpighi was educated in his native city, entering the University of Bologna at the age of 17. In a posthumous work delivered and dedicated to the Royal Society in London in 1697, Malpighi says he completed his grammatical studies in 1645, at which point he began to apply himself to the study of peripatetic philosophy. He completed these studies about 1649, where at the persuasion of his mother Frances Natalis, he began to study physics. When his parents and grandmother became ill, he returned to his family home near Bologna to care for them. Malpighi studied Aristotelian philosophy at the University of Bologna while he was very young. Despite opposition from the university authorities because he was non-Bolognese by birth, in 1653 he was granted doctorates in both medicine and philosophy. He later graduated as a medical doctor at the age of 25. Subsequently, he was appointed as a teacher, whereupon he immediately dedicated himself to further study in anatomy and medicine. For most of his career, Malpighi combined an intense interest in scientific research with a fond love of teaching. He was invited to correspond with the Royal Society in 1667 by Henry Oldenburg, and became a fellow of the society the next year. In 1656, Ferdinand II of Tuscany invited him to the professorship of theoretical medicine at the University of Pisa. 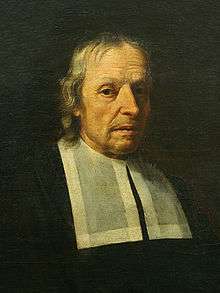 There Malpighi began his lifelong friendship with Giovanni Borelli, mathematician and naturalist, who was a prominent supporter of the Accademia del Cimento, one of the first scientific societies. Malpighi questioned the prevailing medical teachings at Pisa, tried experiments on colour changes in blood, and attempted to recast anatomical, physiological, and medical problems of the day. Family responsibilities and poor health prompted Malpighi’s return in 1659 to the University of Bologna, where he continued to teach and do research with his microscopes. In 1661 he identified and described the pulmonary and capillary network connecting small arteries with small veins, one of the major discoveries in the history of science. Malpighi’s views evoked increasing controversy and dissent, mainly from envy and lack of understanding on the part of his colleagues. 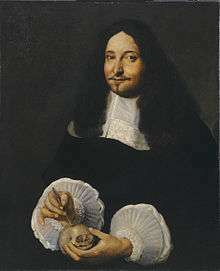 In 1653, his father, mother, and grandmother being dead, Malpighi left his family villa and returned to the University of Bologna to study anatomy. In 1656, he was made a reader at Bologna, and then a professor of physics at Pisa, where he began to abandon the disputative method of learning and apply himself to a more experimental method of research. Based on this research, he wrote some Dialogues against the Peripatetics and Galenists (those who followed the precepts of Galen), which were destroyed when his house burned down. Weary of philosophical disputation, in 1660, Malpighi returned to Bologna and dedicated himself to the study of anatomy. He subsequently discovered a new structure of the lungs which led him to several disputes with the learned medical men of the times. In 1662, he was made a professor of Physics at the Academy of Messina. Retiring from university life to his villa in the country near Bologna in 1663, he worked as a physician while continuing to conduct experiments on the plants and insects he found on his estate. There he made discoveries of the structure of plants which he published in his Observations. At the end of 1666, Malpighi was invited to return to the public academy at Messina, which he did in 1667. Although he accepted temporary chairs at the universities of Pisa and Messina, throughout his life he continuously returned to Bologna to practice medicine, a city that repaid him by erecting a monument in his memory after his death. Marcello Malpighi is buried in the church of the Santi Gregorio e Siro, in Bologna, where nowadays can be seen a marble monument to the scientist with an inscription in Latin remembering – among other things – his "SUMMUM INGENIUM / INTEGERRIMAM VITAM / FORTEM STRENUAMQUE MENTEM / AUDACEM SALUTARIS ARTIS AMOREM" (great genius, honest life, strong and tough mind, daring love for the medical art). Around the age of 38, and with a remarkable academic career behind him, Malpighi decided to dedicate his free time to anatomical studies. Although he conducted some of his studies using vivisection and others through the dissection of corpses, his most illustrative efforts appear to have been based on the use of the microscope. Because of this work, many microscopic anatomical structures are named after Malpighi, including a skin layer (Malpighi layer) and two different Malpighian corpuscles in the kidneys and the spleen, as well as the Malpighian tubules in the excretory system of insects. See Timeline of microscope technology for more information. Although a Dutch spectacle maker created the compound lens and inserted it in a microscope around the turn of the 17th century, and Galileo had applied the principle of the compound lens to the making of his microscope patented in 1609, its possibilities as a microscope had remained unexploited for half a century, until Robert Hooke improved the instrument. Following this, Marcello Malpighi, Hooke, and two other early investigators associated with the Royal Society, Nehemiah Grew and Antoine van Leeuwenhoek were fortunate to have a virtually untried tool in their hands as they began their investigations. Working on frogs and extrapolating to humans, Malpighi demonstrated the structure of the lungs, previously thought to be a homogeneous mass of flesh, and he offered an explanation for how air and blood mixed in the lungs. Malpighi also used the microscope for his studies of the skin, kidneys, and liver. For example, after he dissected a black male, Malpighi made some groundbreaking headway into the discovery of the origin of black skin. He found that the black pigment was associated with a layer of mucus just beneath the skin. A talented sketch artist, Malpighi seems to have been the first author to have made detailed drawings of individual organs of flowers. In his Anatome plantarum is a longitudinal section of a flower of Nigella (his Melanthi, literally honey-flower) with details of the nectariferous organs. He adds that it is strange that nature has produced on the leaves of the flower shell-like organs in which honey is produced. Malpighi had success in tracing the ontogeny of plant organs, and the serial development of the shoot owing to his instinct shaped in the sphere of animal embryology. He specialized in seedling development, and in 1679, he published a volume containing a series of exquisitely drawn and engraved images of the stages of development of Leguminosae (beans) and Cucurbitaceae (squash, melons). Later, he published material depicting the development of the date palm. The great Swedish botanist Linnaeus named the genus Malpighia in honor of Malpighi’s work with plants; Malpighia is the type genus for the Malpighiaceae, a family of tropical and subtropical flowering plants. Because Malpighi was concerned with teratology (the scientific study of the visible conditions caused by the interruption or alteration of normal development) he expressed grave misgivings about the view of his contemporaries that the galls of trees and herbs gave birth to insects. He conjectured that the creatures in question arose from eggs previously laid in the plant tissue. Malpighi’s investigations of the lifecycle of plants and animals led him into the topic of reproduction. He created detailed drawings of his studies of chick embryo development, seed development in plants (such as the lemon tree), and the transformation of caterpillars into insects. His discoveries helped to illuminate philosophical arguments surrounding the topics of emboîtment, pre-existence, preformation, epigenesis, and metamorphosis. In 1691 Pope Innocent XII invited him to Rome as papal physician. He taught medicine in the Papal Medical School and wrote a long treatise about his studies which he donated to the Royal Society of London. Marcello Malpighi died of apoplexy (an old-fashioned term for a stroke or stroke-like symptoms) in Rome on 29 September 1694, at the age of 66. In accordance with his wishes, an autopsy was performed. The Royal Society published his studies in 1696. Malpighi is buried in the church of the Santi Gregorio e Siro, in Bologna, where nowadays can be seen a marble monument to the scientist with an inscription in Latin remembering – among other things – his "SUMMUM INGENIUM / INTEGERRIMAM VITAM / FORTEM STRENUAMQUE MENTEM / AUDACEM SALUTARIS ARTIS AMOREM" (great genius, honest life, strong and tough mind, daring love for the medical art). ↑ Benjamin A. Rifkin and Michael J. Ackerman (2011). Human Anatomy: A Visual History from the Renaissance to the Digital Age. NY, USA: Abrams Books. p. 343. ISBN 978-0810997981. ↑ Garabed Eknoyan, Natale Gaspare De Santo (1997). History of Nephrology 2: Reports from the First Congress on the International Association for the History of Nephrology, Kos, October 1996. Basel, Sewitzerland: S. Karger Publishing. p. 198. ISBN 978-3805564991. 1 2 Arber, Agnes. "Nehemiah Grew (1641–1712) and Marcello Malpighi (1628–1694): an essay in comparison". Isis. 34 (1): 7–16. doi:10.1086/347742. JSTOR 225992. ↑ Domenico Bertolini Meli (2011). Mechanism, Experiment, Disease: Marcello Malpighi and Seventeenth-Century Anatomy. Baltimore, USA: Johns Hopkins University Press. p. 456. ISBN 978-0801899041. ↑ Chisholm, Hugh, ed. (1911). "Malpighi, Marcello". Encyclopædia Britannica. 17 (11th ed.). Cambridge University Press. p. 497. ↑ Murray Scott, Flora (1927). "The Botany of Marcello Malpighi, Doctor of Medicine". The Scientific Monthly. 25 (6): 546–553. Bibcode:1927SciMo..25..546S. 1 2 Bolam, Jeanne (1973). "The Botanical Works of Nehemiah Grew, F.R.S. (1641–1712)". Notes and Records of the Royal Society of London. 27 (2): 219–231. doi:10.1098/rsnr.1973.0017. JSTOR 530999. ↑ Lorch, Jacob (1978). "The discovery of nectar and nectaries and its relation to views on flowers and insects". Isis. 69 (4): 514–533. doi:10.1086/352112. JSTOR 231090. ↑ Bowler, Peter (1971). "Preformation and pre-existence in the seventeenth century: a brief analysis". The History of Biology. 4 (2): 221–244. doi:10.1007/BF00138311. PMID 11609422. Wikimedia Commons has media related to Marcello Malpighi. Herbermann, Charles, ed. (1913). "Marcello Malpighi". Catholic Encyclopedia. New York: Robert Appleton Company.